The map illustrates parking, viewing and other areas for the Swanton Fireworks Fest. The annual Swanton Fireworks Fest, postponed in June due to the heat, will be held on Saturday, Sept. 8 at Swanton High School. There will be music, food, and fun prior to the display. 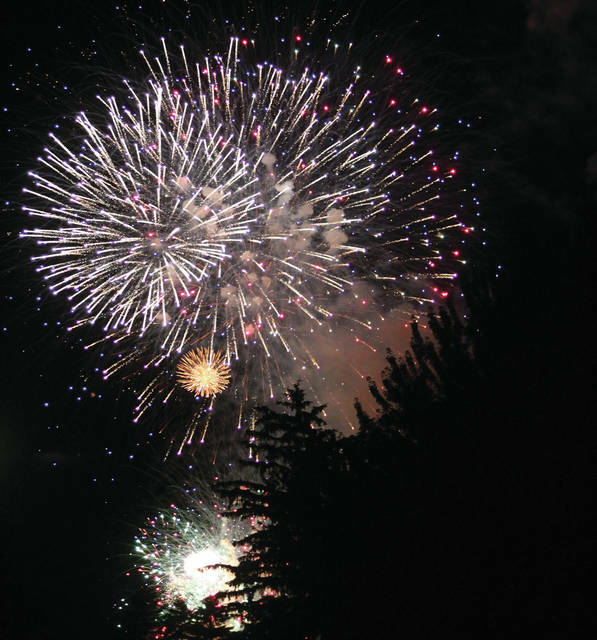 The fun with begin at 6 p.m. with the fantastic fireworks display set off by the Swanton Fire Department beginning at dusk. Food includes Outlaw Attitude BBQ; R&L Concessions with funnel cakes; Swanton Band Boosters with hot dogs, burgers and walking tacos; Island Delights with smoothies and French fries; Snowie Summer with shaved ice and cotton candy tubs; Boy Scout Troop 167 with kettle corn and Yummy Treats ice cream truck. Adding to the fun will be Don Lee Cartoons & Illustrations, Touch the Sky DJ, and Happy the Clown. Visitors are encouraged to bring chairs and blankets to enjoy the food and show. Parking fills up quickly, so officials are asking attendees to plan accordingly. Parking will be available in the main high school parking lot as well as grassy areas to the west of the school and parking lot. Parking is also available in the school lot off of Dodge Street with the walkway through David Hansbarger Stadium open. Fireworks will be set off from the track/soccer complex at the school. Viewing areas at the school include the grass directly around the school, the grass along the main entrance and the grassy area south of the main parking lot. Traffic can also be congested after the show. Traffic patterns will be altered after the show in an attempt to ease the flow of traffic. This annual event is funded primarily through donations, and local officials offered thanks to the Swanton area community for their support of this effort. The Swanton Public Safety Department, Division of Public Service and Swanton Local Schools also play a big part in making the event possible.